On Saturday 24th March 2018, a funding raising race night based on the world famous TT Races in the Isle of Man raised £1,000 for the Rotary Foundation charity. 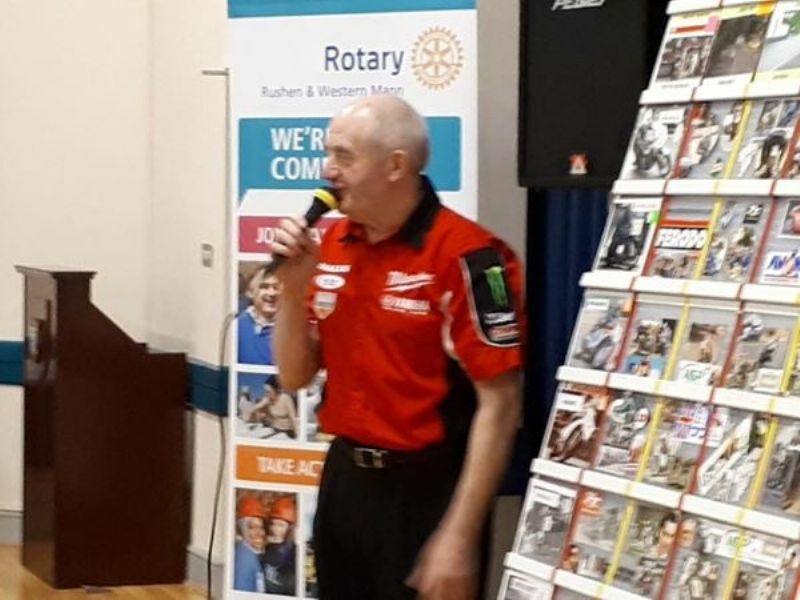 The event held in Castletown was organised by the Rotary Club of Rushen & Western Mann and hosted by legendary TT Radio Commentator Roy Moore. 60 guests enjoyed the thrill of the race night with Races and teams sponsored by members of the Rotary Club. The Rotary Foundation charity is supported by voluntary contributions from Rotarians around the world. Its funds are used to enable Rotary members to advance world understanding, goodwill, and peace through the improvement of health, the support of education, and the alleviation of poverty. It delivers a ranges of projects in local communities covering: peace and conflict resolution; disease prevention and treatment; water and sanitation; maternal and child health; basic education and literacy; and economic and community development.